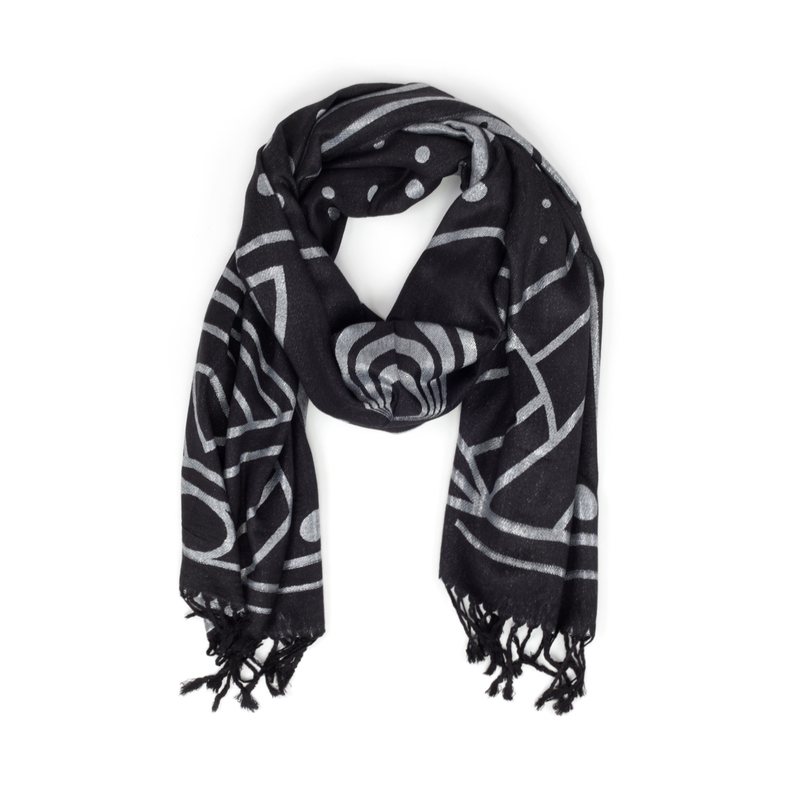 Black pashmina with metallic woven silver fabric. I was SO pleased with this purchase. 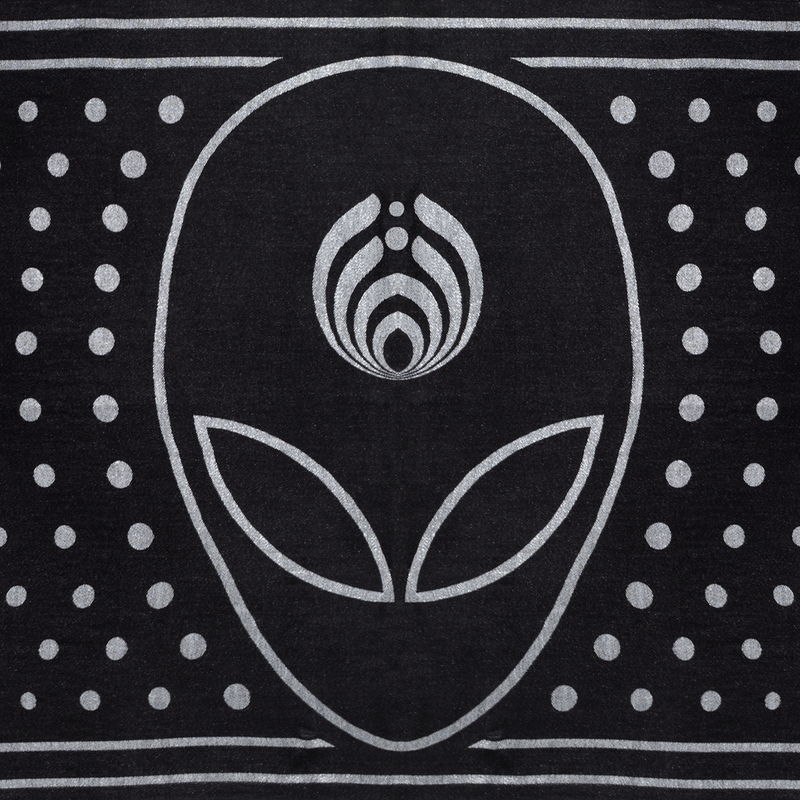 The fabric is very soft, and there is a slight shimmer to it (which is hard to see in the photos) that makes for a gorgeous reflection in the sunlight. 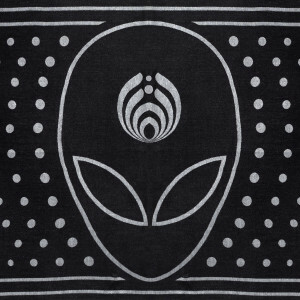 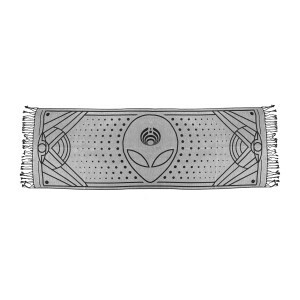 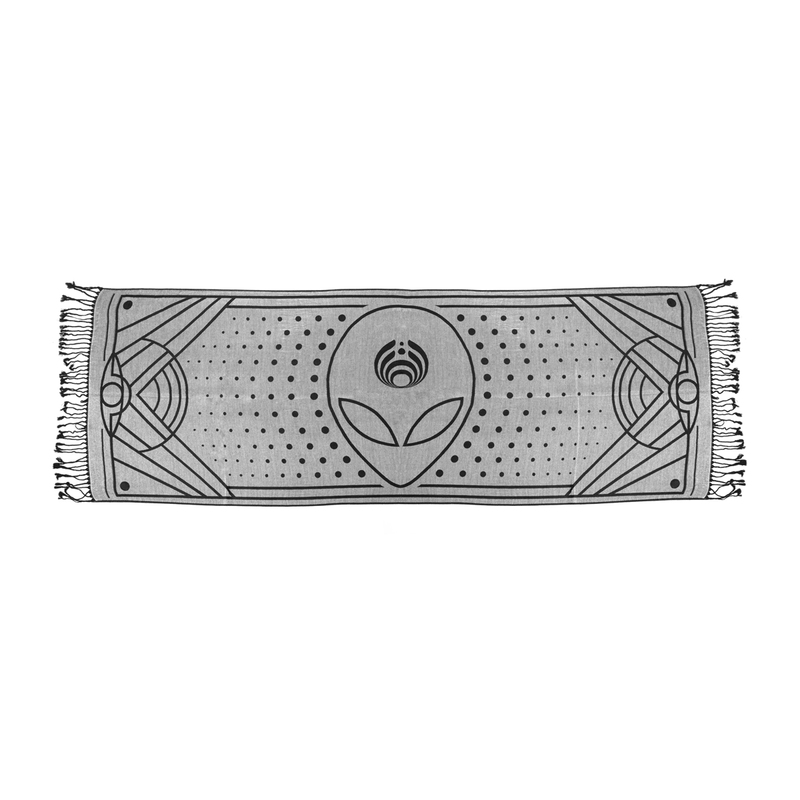 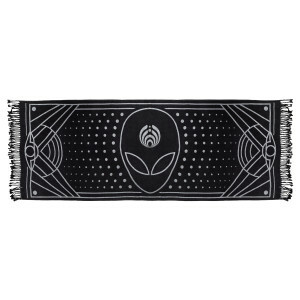 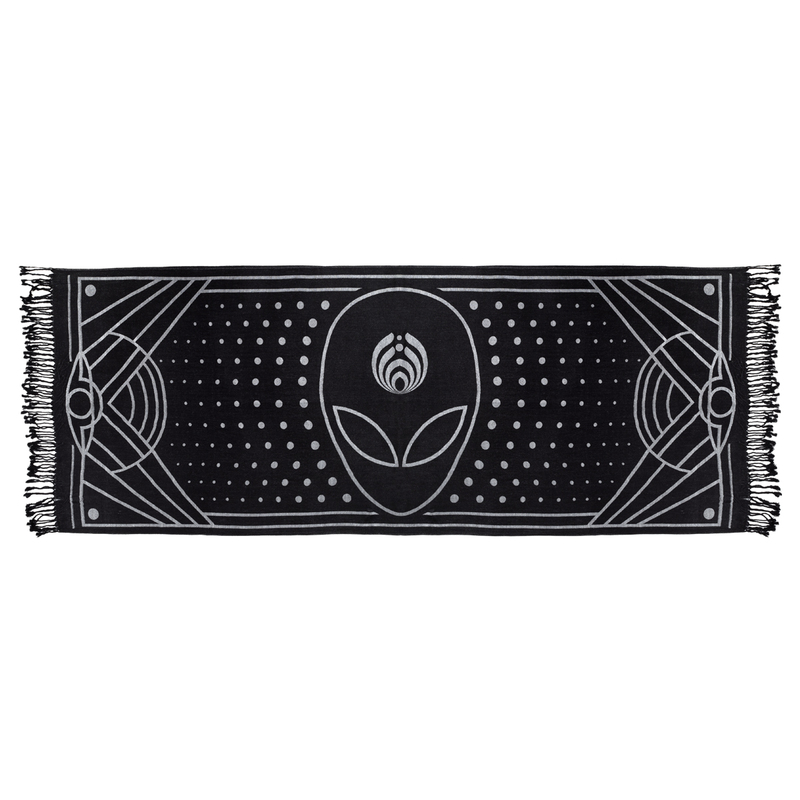 I highly recommend this Pashmina, after seeing the quality, I plan to purchase more from Bassnectar merch!